There is a common perception of me that I am - more than I should be - late. Not the sort of late that comes from absent-mindedness or that dreadfully gendered term, ‘scattiness’; just a consistent five minutes late. One of my oldest friends and an Applied Influence Group colleague shared a chuckle at my expense about this only last night - it has followed me my whole life! The trouble is that this perception can lead to the assumption I’m disrespectful of others’ time or that I’m disorganised, neither of which are true. Nor is it because I get easily lost in big cities or that I can’t plan my day. What drives this behaviour are specific aspects of my personality. I’m highly competitive and goal-orientated with high ‘time urgency’: the constant sense of urgency that causes impatience with anything that 'wastes time' including incompetence, long queues and meals that last longer than 30 minutes. My day is planned and packed to the second. I care so much about getting important sh!t done that I’d rather risk being five minutes late than waste 15 minutes being early everywhere. This month at the Applied Influence Group, we’re discussing the important role perception plays in influencing. Each of us has a unique personality and understanding yours can give you a competitive advantage (which we’ve already established is important to me...) in managing how you’re perceived by others. Openness to Experience. Those high in ‘openness’ are often curious and willing to try new things, often labelled as adventurous. Conscientiousness. These individuals exhibit self-discipline and try to achieve measurable things. This trait prefers planned behaviour rather than spontaneity. Extraversion. Extroverts draw energy from busy situations with lots of stimulus, often amongst lots of people. Introverts draw their strength for solitude and prefer lower levels of stimulus. Agreeableness. This trait shows the differences in concern for getting on with others and maintaining harmony. Disagreeable individuals focus on self-interest and can be suspicious and unfriendly. Neuroticism is the extent to which an individual experiences negative emotion such as anger and depression. Those with a low preference for neuroticism are calmer and less easily upset. Consider how you might be motivated differently if you are high in ‘openness’ vs someone who cares little for adventure, preferring routine and predictability? How would you change your approach to a difficult conversation if you know yourself to be low in ‘agreeableness’? What might you do differently to grow your network if you’re high in 'extroversion' versus low in 'extroversion'? Understanding yourself and how you’re perceived is a building block of effective influence. It doesn't matter what framework you use; what matters is that you consider it. What personality traits do I possess? If you’re feeling brave, ask others too. How might others perceive me as a result, what assumptions might be made? Why does that matter, if at all? How can I manage it if it does? 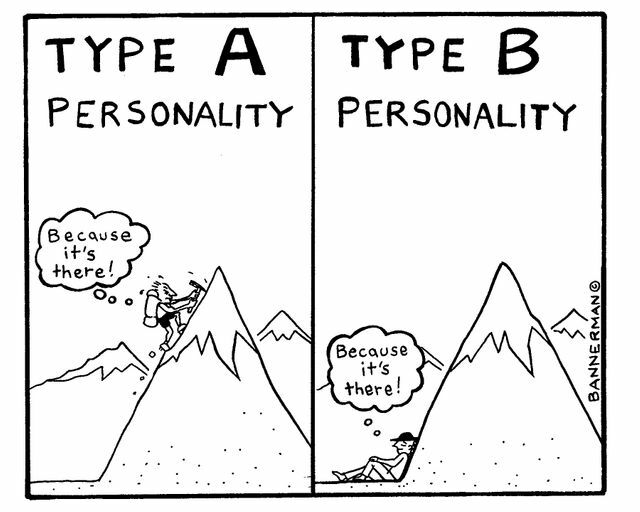 Aspects of my personality are what might have been referred to 30 years ago as some Type A traits; they drive certain behaviours that can create the assumption I’m disrespectful of others’ time. Does that matter? Sure, it can do; if I’m meeting someone who values punctuality or would see it as a slight to their power and status - which might only matter if they’re motivated by power and status. How I manage that is simply by being conscious rather than unconscious of it; I override natural tendencies with conscious choice. And for those I know well and where I get it wrong, I ask they remember it's only because I care so much.